What initially began as a project between cousins has evolved into a comprehensive rhythmic perspective. Founded in 2010 by Ben VanderHart and Josh Barrett, Telemonster was the result of shared musical passions (ranging from Led Zeppelin to Tchaikovsky) and their love of complicated compositions. These pervasive communal associations eventually drew bassist John-Michael Forman and pianist Dave Hess in the pair’s orbit. With the lineup complete, they set out to craft a sound filled with ornate orchestral flourishes, indie rock restlessness and a folky intimacy – the resulting sound is a pastoral and often electrifying mash of influence and innovation. 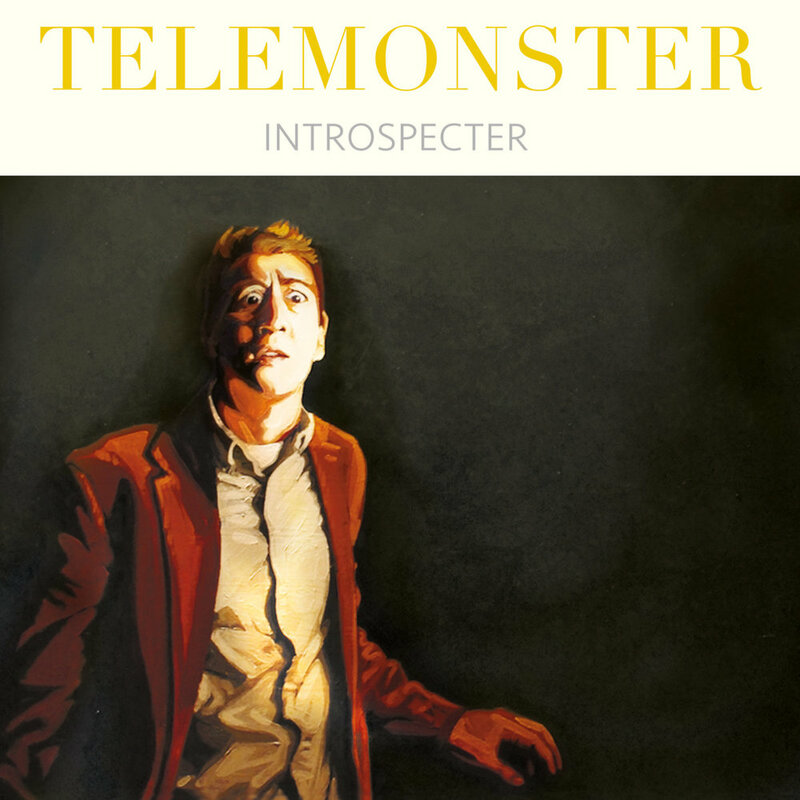 On their new record, “Introspecter (Part 1),” the band fuses a melody-rich folk-rock aesthetic with a propulsive indie rock swagger. The songs shift and sway in tempo and tone but maintain an emotional weight which underscores the often experimental nuances that scatter themselves throughout the songs. From the Fleet Foxes-esque opener, “Incision,” to album closer, “Intermission (Let’s Step Away for a Moment and Give Ourselves a Break),” which mirror each other in slightly different ways, the album employs a grand pop-rock theatricality that allows the band to explore a wide expanse of musical history as well the details of numerous personal experiences. With songs like “Mad in the Night” and “In the Stones,” they’re able to redefine the parameters of their indie-pop inclinations. Beautifully threadbare one moment, and bursting with ideas the next, the music is compelling and speckled with imaginative musical reverberations. They fill tracks like “Façade 1 (I Want You Around)” and “Taciturn and Many Things” with a measured catharsis, a sound powerful in its resolution but not so overwhelming as to drown out the immaculate melodic minutiae peppered throughout the songs. Unsurprisingly, as its name would suggest, “Introspecter (Part 1)” can be both ghostly and introspective. However, it also warmly invites you deep within its otherworldly chambers to experience an overabundance of different emotions. There’s no set path here, no defined borders. Telemonster wanders from one musical spark to the next in a series of escalating revelations. The record is a lucid statement of intent from a band flexing its creative muscles and reveling in the connections it creates between itself and its spellbound audience.